Liquer d’expedition is a small amount of sweet and alcoholic liquid added to a champagne bottle after the ”lees" or sediment has been disgorged. It is needed to compensate for the liquid lost in the disgorging process, and it can also be referred to as dosage. There is no definitive English translation, but a direct reading would make "a sweet tincture from an exploration". The amount of sugar in liquer d’expedition determines the degree of sweetness in the champagne. In other words, liquer d’expedition gives the champagne it’s final character. 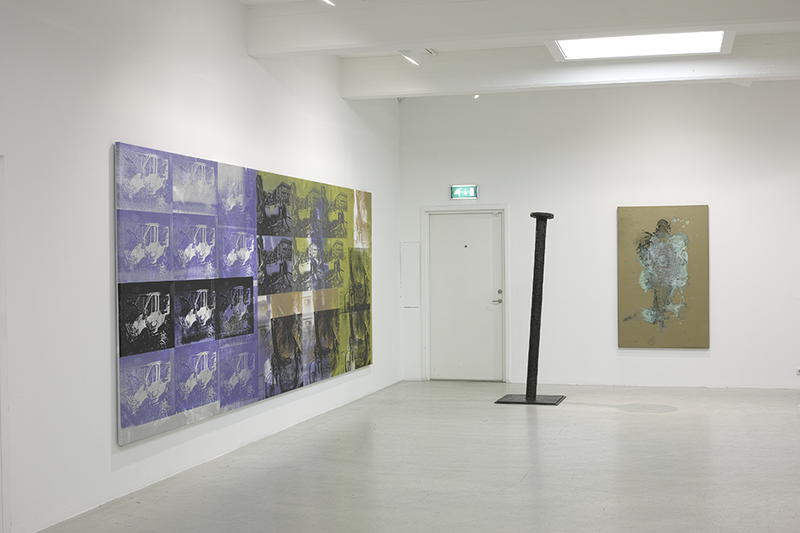 The term liquer d’expedition could also be used as a metaphor for Gavin Turk’s entire artistic oeuvre, which is a several decades long comment on the role of art as a kind of additive set to fill the cultural bottle to the top and give the final distinct flavor to it’s particular time. 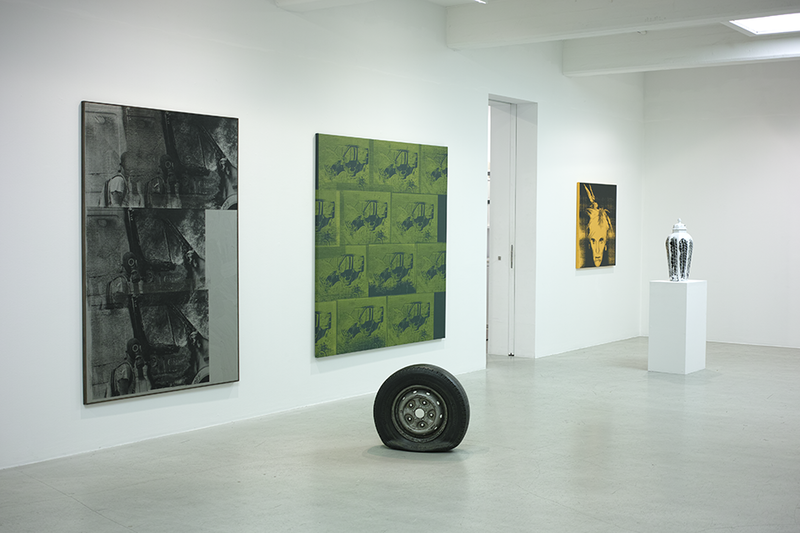 This exhibition presents sculpture, photography and painting from the recent years, highlighting the diversity of Gavin Turk’s artistic expression. A joker, hoaxer, trash-collector, punk, seer and unholy fool, British artist Gavin Turk makes art about art from the debris and decay of modern civilisation. A modern day Fisher King on his riverbank, as behind the city crumbles in a turmoil of economic meltdown, unreal spectacle and fame for fame’s sake, Turk rummages through the remains of Minimalism, Modernism, Surrealism and Pop, alongside the trash of the street in search of clues as to what art may or may not be. Gavin Turk, born in 1967 in Guilford, UK, lives and works in London. In 1991, the Royal College of Art refused Turk a degree on the basis that his final show, Cave, consisted of a whitewashed studio space containing only a blue heritage plaque commemorating his presence "Gavin Turk worked here 1989-91". 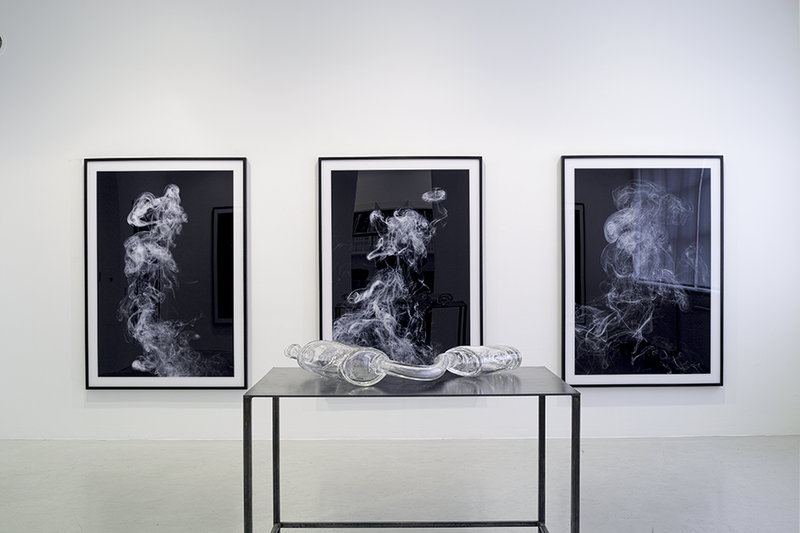 Instantly gaining notoriety through this installation, Turk has since been exhibited by many major galleries and museums throughout the world. Turk has recently been commissioned to make several public sculptures including Nail, a 12-metre sculpture at One New Change, next to St Paul’s cathedral, London, England. In 2013, Prestel published Turk’s first major monograph, showcasing more than two decades of his work.